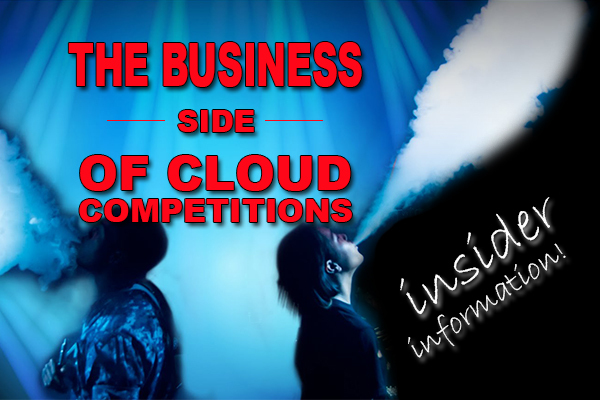 The business side of cloud competitions is highly unknown to the majority of vaping consumers and hobbyists. 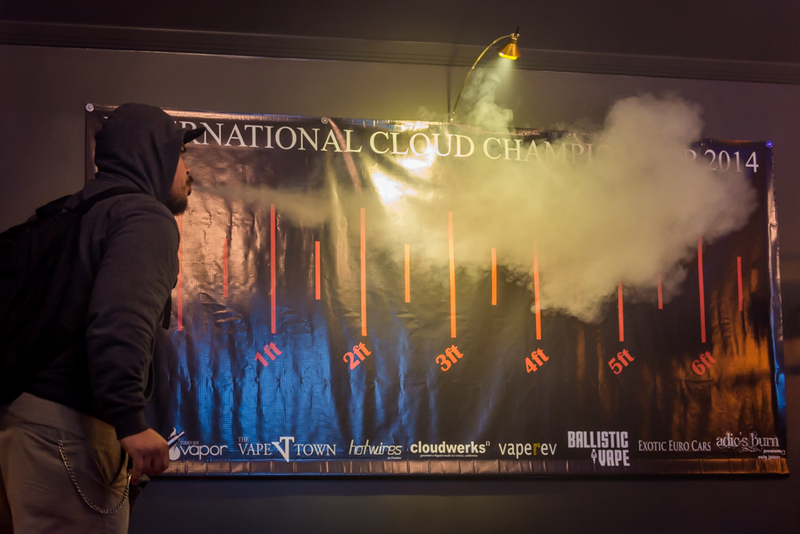 Sure, there are many average vapers that can throw out a few heavy clouds while attending locally sponsored cloud competitions, but these cloud competitions can go much further than a pack of stickers, a stick of bubblegum and a $3 bottle of locally brewed e-liquid. In fact, cloud competitions can become someones paycheck, someones early Christmas and could even become a sponsorship. When you think of the term “cloud competition”, you’re probably imagining two strangers back to back, heel to heel, blowing monstrous clouds of vapor all for the love of the spotlight, the competitiveness and the prizes. However, there are others that believe it’s not just about the prizes or spotlight, but also about climbing the mountain of victories for a chance at the ultimate prize. There are many vapers that attend and participate in these events with the hopes of a sponsorship. A sponsorship is considered to be one of the greatest achievements by many in the cloud competition community. 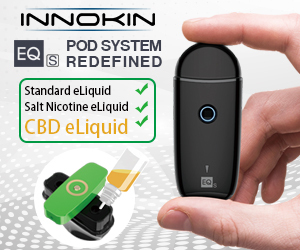 Gaining a sponsorship from a cloud competition could consist of support, financial backing, and being provided with the latest vape gear, amongst other beneficial perks. But why all of this just to throw out big clouds of vapor in a competition? Being sponsored also means you’ll have to perform at the same or better level as the best, and promote your sponsors branding. There are many vapers that come into these competitions stacked from sponsors and ready to perform and promote. These vapers came prepared for the event by already having a sponsorship deal, which probably resulted from already gaining a following and climbing the ladder of winnings through past cloud competitions. 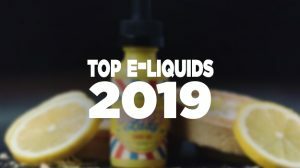 Last month Vape Chemist focused on the attention of vape sponsorships and shared with the community that there is such a thing and that people are interested in it. With that being said, they gave you the low down on the whole matter, which consisted of 5 tips for landing a vape sponsorship. 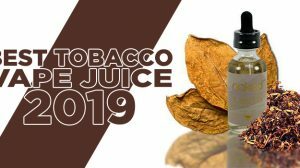 We feel this information is very useful to Guide To Vaping readers, so we’ll relay those key tips and give credit where credit is due. Don’t just send out a general template to a million companies you aren’t passionate about. Figure out who the best of the best is, and prove to them you’re the perfect solution to help them market and sell their products to an audience they aren’t already reaching. To distinguish yourself from everyone else on the street asking for a handout, you need to prove why you deserve it. Bring credentials like stats to show views and revenue you already generate for yourself or others. Don’t be lazy – put your money where your mouth is with a resume, or that vape sponsorship will go to the next person. Facebook, Instagram, YouTube, Twitter, and all the other social media sites have been around for years, and we’re all aware of fake followers, likes, and all that jazz. Build a real following because numbers don’t lie. Grow organically through carefully curated content to create a new standard. Your first impression is always key, so be sure to fully understand a vape company before contacting them for sponsorship. Don’t bother contacting a potential sponsor via social media, however – that’s for the fans. You’re a professional business partner in the vaping industry who should send a personal email. Find your new vape business partner’s email address or contact form on their website, and send a personal note with your intentions (and proper grammar). Again, you gotta earn your keep – just because you won a local cloud blowing contest doesn’t make you the next big thing. Be modest, regardless of what you have, because there’s always going to be someone better. Brand sponsorships in any industry are about properly representing the vape image. Now that you understand that cloud competitions have more of a business side where gear, money and sponsorships are available, if you feel inclined to shoot for the stars, you’ll need to first prove you’re worth it… and there’s only way to do that, and that’s to participate in events, climbs the ranks and pull off wins! By now, there should be many places locally to get your feet wet, but if you’re looking to compete with the masses, you’ll need to attend large events where there is a large gathering of faces, such as expos, conventions and events solely dedicated to cloud competitions, like The International Cloud Championship. Shockingly, yes… cloud competitions and being an overall “professional vaper” has become a thing, and is even being taken pretty seriously. 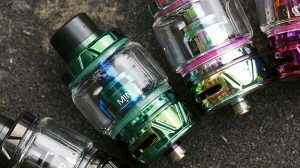 Mashable touched base on this subculture with a rather compelling mini-documentary that gave insight into the world of being a professional vaper and what it consists of when they shared the video “E-Cigs: The X Games of Vaping”. What interests you in cloud competitions? First and foremost, it’s about meeting up with other vapers. I got into competitions because I literally use the clouds as a yard stick pitting the lungs of a 22 year heavy smoker against younger guys, and watching myself grow. I figured the healthier I get, the bigger my clouds would be. 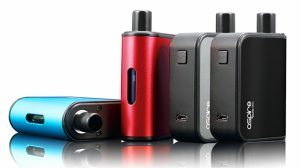 It brings large crowds into small vape shops, opening them up to a larger customer base. Sometimes it opens the stores up to more members of their local community — people get curious when they see a congregation. I enjoy winning, but that is only a small part of the reason I do it. Can you share some of the things you’ve won? Some competitions pay out cash, others in equipment. 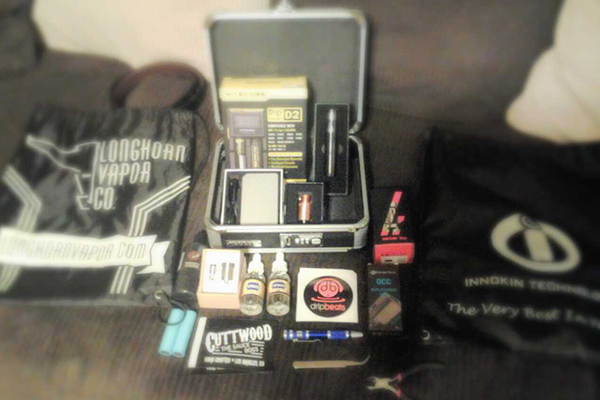 My last actual win netted me over $500 in juices, various mods, atomizers and other goodies. Do you plan to explore or are you open to future sponsorships? If I like something, I generally tell people that I do. If a company that I regularly use approached me, I would gladly represent them. However, I won’t endorse a product solely for financial purposes. I’m not going to be sending 3 page emails to every company I can think of asking for free stuff — that’s not my style. In the same light, I won’t yell from the roof tops just because someone sent me something free. Is sponsorship a possibility? Yes, but only with the right company. Without sharing inside leg movements, do you have any tips or advice for those interested in cloud competitions? Learn what your equipment is capable of — battery safety is key, and Ohms law is your best friend. Practice, practice, practice! Talk to people who know what they are doing, take the advice that they give you. Follow the competition rules, because you don’t want to be disqualified for releasing too early. Compete for fun, not just to win. Don’t give up when you lose. Go out, make new friends, and you might just come home with the prize. When it comes down to it, these cloud competitions aren’t just all fun and games, there’s an actual business side to it that’s beneficial for companies and the contestants. One example to understand it all is the skateboarding industry, where skateboarders are being paid, sent all around the world and lavished with the best gear, all to give a great performance and promote their sponsor. What would be the best way for a shop to get a well known trickster to do a guest appearance at our shops in Idaho, without having to strictly pay them to show up? I’m not exactly sure that they’ll make an appearance for free product, since most of the trickster guys that are really good are already sponsored or receive free products. Probably the best place to find someone like this, especially in your area, is on a forum. Good luck!